Join ArtsClub & Madison Park Arts for a private, after-hours tour of Soul of a Nation at the Brooklyn Museum led by the curator, Ashley James. This is a unique opportunity to learn first hand about one of the most celebrated exhibitions of the year. Afterwards, we’ll have drinks at Butter & Scotch and discuss the exhibition. Soul of a Nation: Art in the Age of Black Power shines light on a broad spectrum of Black artistic practice from 1963 to 1983, one of the most politically, socially, and aesthetically revolutionary periods in American history. 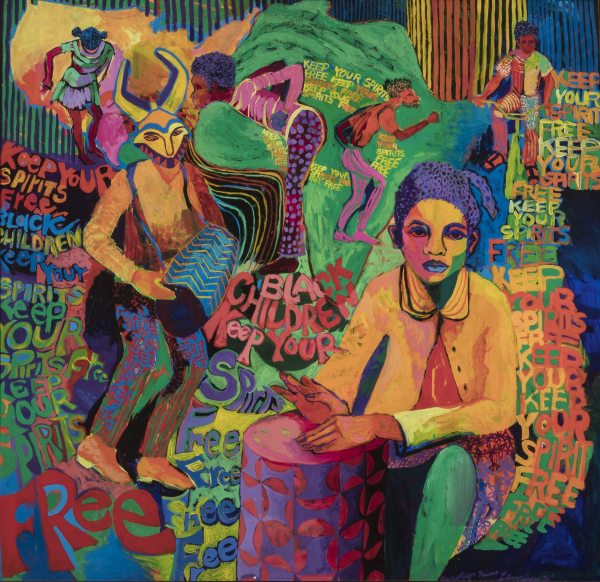 Black artists across the country worked in communities, in collectives, and individually to create a range of art responsive to the moment—including figurative and abstract painting, prints, and photography; assemblage and sculpture; and performance. Many of the over 150 artworks in the exhibition directly address the unjust social conditions facing Black Americans, such as Faith Ringgold’s painting featuring a “bleeding” flag and Emory Douglas’s graphic images of beleaguered Black city life. Additional works present oblique references to racial violence, such as Jack Whitten’s abstract tribute to Malcolm X, made in response to the activist's assassination, or Melvin Edwards’s contorted metal sculptures. Working as a collective, members of the AfriCOBRA group presented images of uplift and empowerment. Barkley Hendricks, Emma Amos, and others painted everyday portraits of Black people with reverence and wit. All the artists embraced a spirit of aesthetic innovation, but some took this as their primary goal, often through experiments with color and paint application. This exhibition brings together for the first time the excitingly disparate practices of more than sixty Black artists from this important moment, offering an unparalleled opportunity to see their extraordinary works side by side. Tickets include admission to the museum, after-hours tour led by the curator and a glass of wine at Butter & Scotch. Gallery Dinner Party Featuring ÆSTHESIA “ON CANAL"